From gorgeous gift ideas to got-to-have gadgets and divine décor to show-stopping styles, Peterborough One Retail Park is your one-stop-shop this Christmas. And with enchanting events, plenty of in-store promotions and cracking Christmas giveaways, it really is the place to be for some extra sparkle this season. 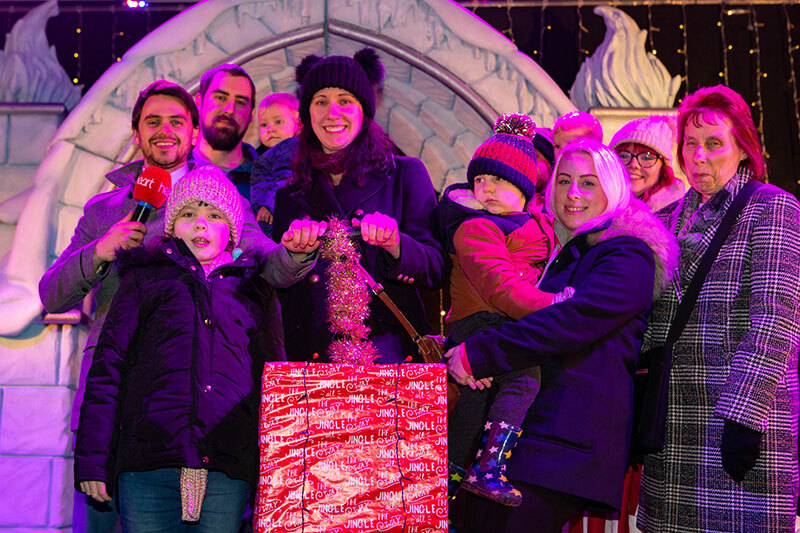 On Saturday 24th November the retail park hosted its much-anticipated Christmas Lights Switch On and Fireworks Show. 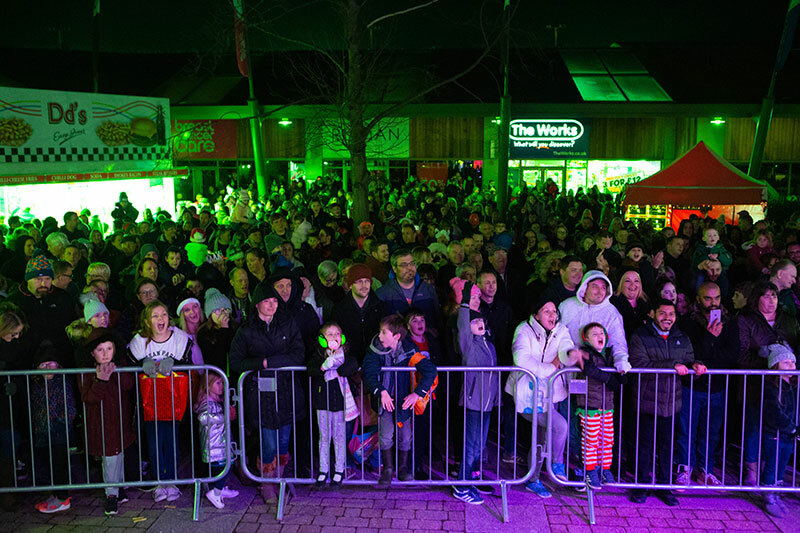 Thousands of people flocked to the venue for a full schedule of performances and activities, including a stage show compered by Josh from the Heart FM breakfast show. 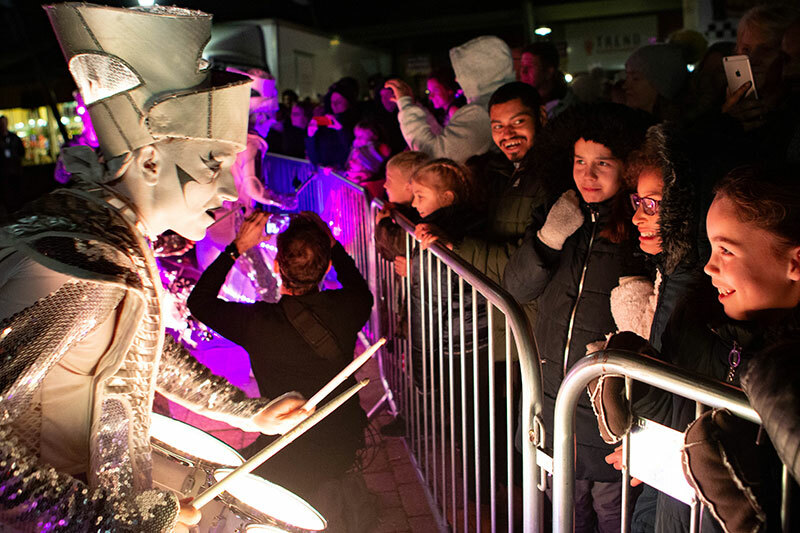 Excited crowds looked on as Josh introduced entertaining acts, singers, live music, games and competitions, along with the illuminating and mesmerising street theatre act; Spark! 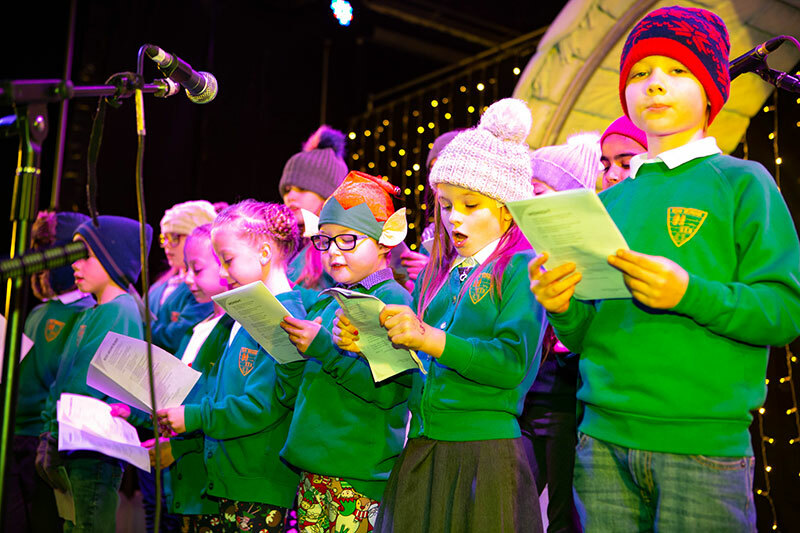 PE1 also provided a Christmas Craft Workshop for children, where little cherubs could design and decorate their own Christmas crown and tambourine with supervision from trained instructors. The activity proved very popular and gave children the opportunity to express their creativity. The crafting staff were very professional, helpful and attentive. It was well organised and the children loved it. It was really well done. Following the workshop, children could participate in the Spark! Christmas Parade that led to the 50ft Christmas tree in the heart of the park. Over 150 children were part of the parade. Visitors also got their skates on at the Van Hage Ice Rink. 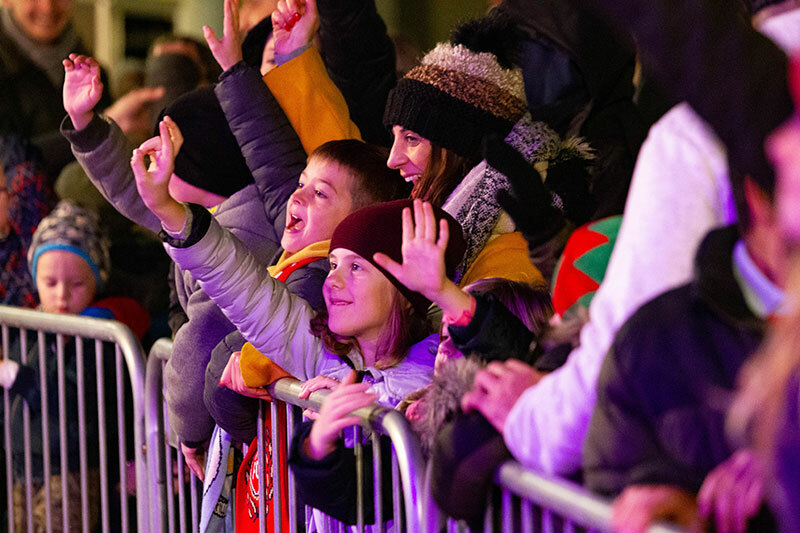 Young and old enjoyed the magical winter rink made of real ice, complete with atmospheric lighting and festive music. The ice rink is now in situ until 6th January. Spark! combined high impact drumming with kaleidoscopic lighting design during their attendance at PE1. 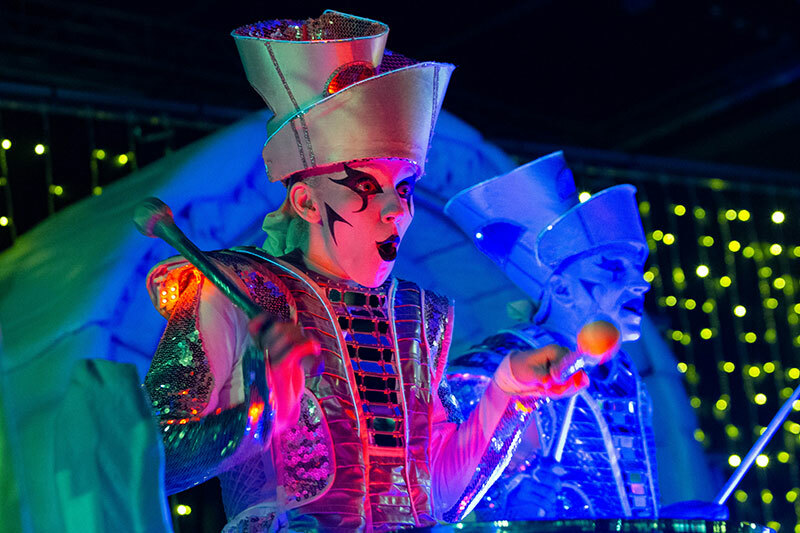 The five ethereal, playful characters used captivating and dramatic music to interact with crowds and lead spectators on a spellbinding journey through the park. 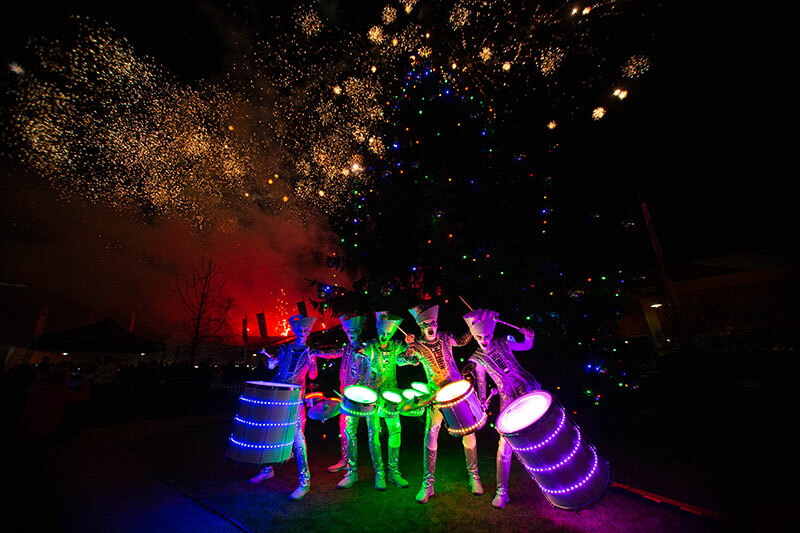 The act wowed crowds with choreographed routines amid plumes of dry ice smoke, then posed for photos alongside shoppers and children, before leading the parade to the retail park’s impressive Christmas tree for the lights switch on countdown. The evening then concluded with a jaw-dropping firework display that filled the skies. Thank you PE1. The entertainment and the fireworks were truly amazing this evening. An enjoyable evening was had by myself and my family. 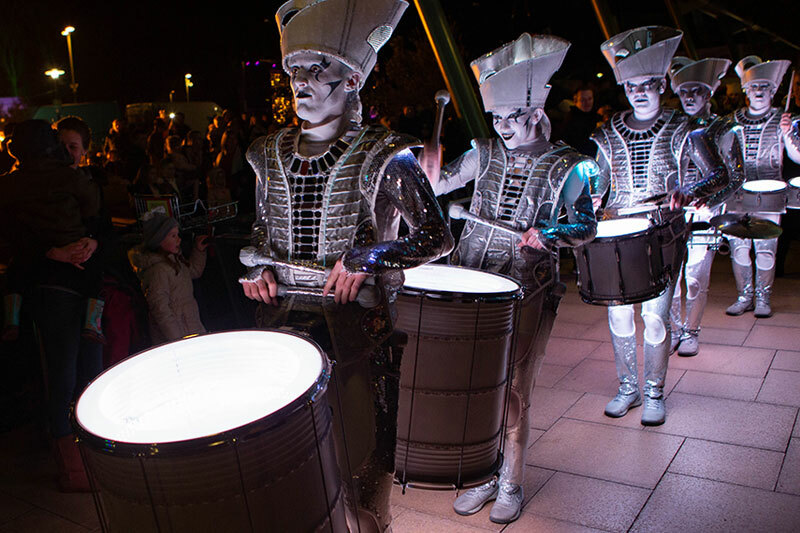 The event attracted approximately 2,500 additional visitors to PE1 – an increase of around 1,000 additional visitors from the same event last year. For details about future events at PE1, click here.